This print was initially available for purchase solely at the benefit concert for which it was released; it was then available online at the David Lynch Foundation website, starting 04/11/2009. 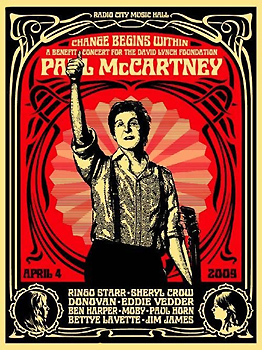 On 4/28/09, 100 prints from the run of 600 were available on Obeygiant.com. The print retailed for $100.